To engage area youth in oyster restoration, the St. Joe Community Foundation is granting the Choctawhatchee Basin Alliance (CBA) $18,300 to bring their Spat On! program to 250 high school students in Walton County. In addition to providing monthly instruction and in-class lessons to foster understanding of oyster ecology and estuarine habitat, CBA will work with area high schools to build two new oyster reef breakwaters in the Choctawhatchee Bay. According to the Nature Conservatory, 85% of the world’s oyster reefs have been lost due to disease, pollution, declining habitat and over harvesting in the last decade. This makes oyster reefs the most severely impacted marine habitat on Earth (Shellfish Reefs at Risk Report, 2009). The oyster population in Choctawhatchee Bay is no exception, and the decline has led to a reduction in biodiversity and water quality. As NOAA’s Office of Habitat Conservation reports, oysters are a keystone species in the estuarine habitat because of the critical role they have in maintaining the ecosystem, and each adult oyster can filter up to 50 gallons of water each and every day. Through Spat On! 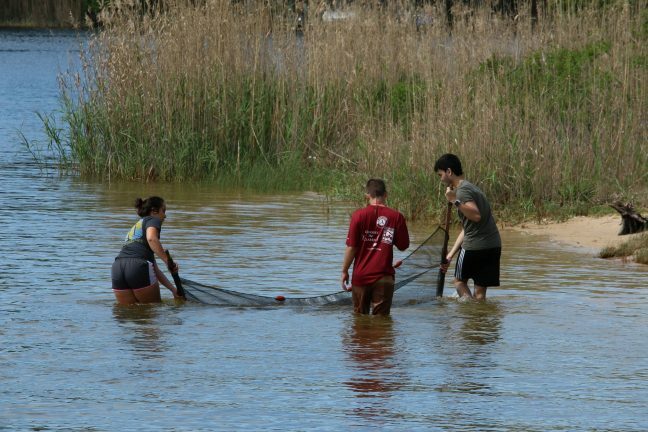 students will play a direct role in improving oyster populations in their communities. Since its inception, the St. Joe Community Foundation (“Foundation”) has provided more than $20 million in grants to improve the quality of life in the communities it serves. The Foundation provides charitable grants toward the civic infrastructure of communities in Northwest Florida with a focus, but not a limitation, on Bay and Walton Counties. The Foundation’s primary focus is on strengthening education, improving healthcare, protecting the environment and supporting local cultural interests. These efforts help build healthy, caring, long-lived communities. 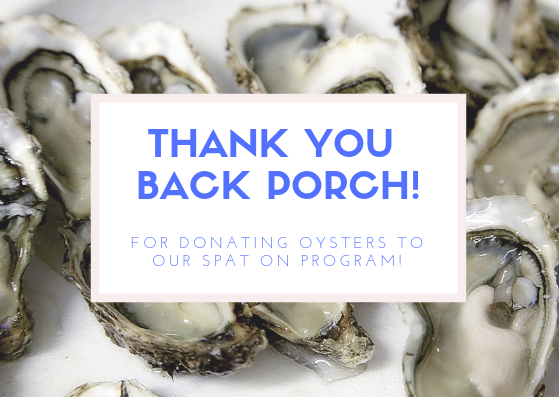 In November, the Back Porch in Destin donated 30 oysters to be used in both high school and home school classrooms as part of CBA’s Spat On! education program. With these oysters, students will directly examine oyster anatomy, learning more about how oysters fit into both the environment and the food chain. Spat On! encompasses field experiences and in-class assignments. To introduce the students to oyster restoration, students help construct an oyster reef by bagging recycled oyster shell and placing the material. They monitor growing oysters using various aquaculture techniques, including GoPro Cameras and iPad minis, to analyze spat attachment and water regulation. Towards the end of the year, students move their matured oysters from the cultivation areas to a reef during a Move Your Mollusk event.